Acupuncture is an Ancient Chinese medical practice that uses a series of needles strategically placed on specific parts of the body to relieve pain and stress. The process acts much like a local anesthetic. Perhaps not coincidentally, the first recording of acupuncture was in China about 6000 BCE, close to the time hemp was also first used in China for medicinal purposes. Although not specifically labeled as acupuncture, there are graphics found in ancient Chinese texts illustrating the basic procedures of acupuncture as far back as 6000 BCE. More evidence from 198 BCE shows the use of meridians – twelve pathways in the body along which vital energy is said to flow. In 100 BCE, The Yellow Emperor’s Classic Treatment of Internal Medicine shows examples of acupuncture use we can recognize today. Acupuncture gradually spread throughout Asia and Europe for centuries. Around the 17th century, as Europe started adopting the ways of Western medicine more and more, acupuncture experienced a sharp decline. In the United States, it was outlawed in 1929 and deemed as superstitious. In the 1950s, there was a resurgence in the popularity of acupuncture as its use spread throughout Europe. In the United States, President Richard Nixon’s groundbreaking visit to China in 1972 helped make significant progress in understanding and accepting acupuncture and other forms of Traditional Chinese Medicine (TCM). The presidential visit also encouraged research regarding acupuncture throughout the 70s. Officially in 1997, the National Institute of Health conference found acupuncture to be a viable treatment to control symptoms of various ailments. Like medical marijuana, medical hemp is derived from the cannabis plant. One of the things that sets a hemp plant apart from marijuana is the amount of tetrahydrocannabinol (THC) it contains. THC has many inflammation and pain relieving qualities; however, this ingredient also gives the plant its psychoactive properties and is responsible for marijuana’s euphoric “high” feeling. Read: What is the difference between hemp and cannabis? There are many strains of hemp, and some are used strictly for industrial purposes such as clothing and other textiles. Medicinal hemp, on the other hand, is rich in CBDs and also contains up to 450 other potentially healing substances. Hemp has been used medicinally for over 8,000 years, including in the practice of acupuncture. Medical hemp and acupuncture are both listed as one of the 50 fundamentals of TCM by Emperor Shen Nung, dating back to 2737 BCE – but the similarities don’t stop there. Both hemp and acupuncture work in harmony with the “endocannabinoid system” to relieve pain and inflammation. CB1– These receptors create the psychoactive effects of marijuana. Additionally, these receptors can be found throughout the brain, specifically in the areas responsible for pain sensation, sleep mood, appetite and memory. CB2– Comparatively, CB2 receptors provide the anti-inflammatory response of marijuana and are found in the body’s immune cells. Reacting with these CB receptors are the endocannabinoids themselves. Anandamine and 2-arachidonoylglycerol (2-AG) are the two we know the most about, but plant-based phytocannabinoids and synthetic cannabinoids are also reactive with cannabinoid receptors. Both medical hemp and acupuncture work on the cellular level to signal the CB2 receptors to turn off the protein acid that is responsible for inflammation. Acupuncture has been shown to provide a significant jumpstart for reducing chronic pain and inflammation, especially when paired with oral or topical hemp treatments. In recent years, researchers from the National Institutes of Health, have begun studying the effectiveness of a practice known as “electroacupuncture” (EA). EA is a form of traditional acupuncture that uses electricity to help increase in the body’s natural painkillers (cannabinoids) in the effected area. These scientists were specifically looking at how natural painkillers reacting with cannabinoids makes electroacupuncture work. One recent study found that, when used for pain on inflamed skin, electro-acupuncture showed a notable increase in the body’s natural painkillers (cannabinoids) in the effected area. Electro-acupuncture works on the same principles as acupuncture did thousands of years ago, by balancing the “qi” through the various meridians. Electro-acupuncture was first introduced in China in 1934 to facilitate the process and provide additional pain relief. It is worth noting that, like many alternative health treatments, acupuncture and electro-acupuncture should not be considered a cure-all for any disease. Instead, it is a method of dealing with the symptoms, and most frequently pain and inflammation. Most importantly, though, is that many acupuncture patients ultimately find themselves with more energy, better sleep and better digestive health – possibly a result of balancing the qi or just the relief of pain. Though there are little side-effects of using acupuncture and medical hemp individually or together to treat pain, it is important to note some of the unlikely negative possibilities as well. 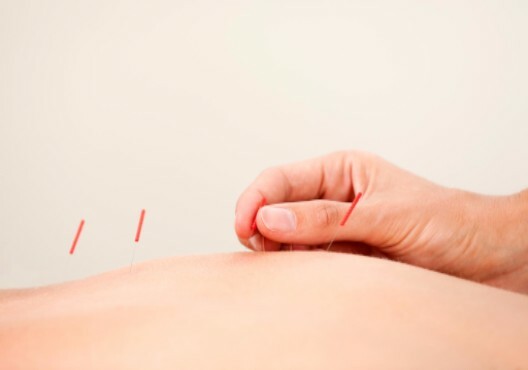 For instance, acupuncture may initially result in what is called “the healing crisis.” Those in especially bad health may at first deal with exhaustion, bruising, soreness, and even feel emotionally overwhelmed. These symptoms should subside after a few treatments. Similarly, the overuse of ingested hemp oil may cause digestion or absorption problems. 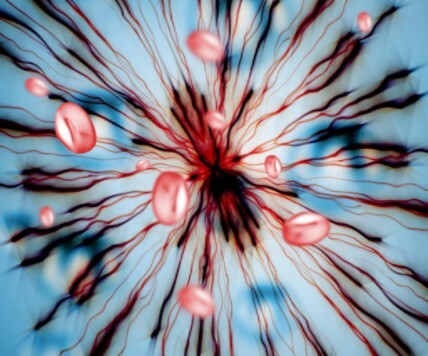 Hemp should never be taken or used orally if a person is on blood-clotting medication. Also, pure hemp oil should not be applied directly to the skin. Just like other essential oil-based lotions, topical hemp treatments should be mixed with carrier oils or other beneficial ingredients. Always consult your doctor or primary care physician before trying alternative pain treatment options. Further reading: Care and Feeding of the Endocannabinoid System by the National Institutes of Health.